for those who keep the commandments of God. and inasmuch as ye will not keep my commandments ye shall be cut off from my presence. Lehi has already spoken to Laman and Lemuel in chapter 1. Now he bypasses them and speaks directly to their children. He has spoken persuasively and passionately to his sons, exhorting them to keep the commandments and be faithful to the Lord. But in speaking to this next generation he pares down the message to the bare bones, giving them the words of the Lord Himself. This is the message of the Book of Mormon to all generations who possess the Promised Land. This theme of 1 Nephi continues on in Lehi’s family, and it continues to speak to us and warn us today. Wherefore, because of my blessing the Lord God will not suffer that ye shall perish; wherefore, he will be merciful unto you and unto your seed forever. This is a curious section. Lehi has asserted that he knows that if these grandchildren, the offspring of Laman and Lemuel, were brought up in the way they should go, they would not depart from it, doubtless quoting from Proverbs. What does that say about Laman and Lemuel? Were they brought up in the way they should go? Laman and Lemuel had a choice, and many chances and exhortations to choose the right. Lehi seems to assume that these grandchildren are incapable of choosing the right, because they won’t be taught properly. How does he know that they would choose the right? Can anyone, even a prophet, know another’s heart? Whatever sense we can make of this philosophically, Lehi knows that God will honor his blessing and preserve the seed of Laman and Lemuel. We know that the Lamanites are those who survived the great battle at the end of the Book of Mormon. However, we don’t know that the “Lamanites” of that day were genetically more the children of Lehi, or that they are the people who first rebelled after the period of peace following the Savior’s visit. Nephi’s grief at seeing the destruction of “his” people suggests that the later separation was truly on racial grounds. This blessing is reminiscent of the previous chapter. God knew that the children of Joseph would reject Him, as would Laman and Lemuel and their children. He patiently watched over this family, as well as the Laman/Lemuel subset of it, and planned for the time when they would humble themselves and choose His way. he waxed old. And it came to pass that he died, and was buried. 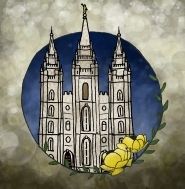 The life of a person of faith is like a beautiful dance whirling through mortality, with a continual exchange of leadership: The person exercises his initiative in “studying it out,” and doing good in various ways, all the while listening to be able to respond when the Spirit of the Lord directs his efforts. We are not automatons submitting like puppets to God’s will. We align our will with His. We keep the feelings of our hearts as we serve His children. because of the admonitions of the Lord. And speaking of feelings, it is very interesting to see the manifestations of the feelings of the hearts of those who reject God. Unbelievers can’t seem to be able to co-exist with God. They often show anger, both at God and at those who follow and believe in Him. They have agency, of course, but they not only reject the Message, but want it squashed. They don’t want to be told that what they are doing is wrong. We see many today in our society who are angry because of the admonitions of the Lord. There are a few current issues which fuel their anger, but the anger is perennial, regardless of the issues. They’re angry because God dares to tell them to do something. They lash out in anger against Him and whoever is delivering the message, pointing out perceived faults of both the Christian and God Himself. Logic and reason do not work with these unhappy people, as Nephi doubtless discovered. In fact, he will find no solution but to separate himself from them. Jesus instructed, “If thine eye offend thee, pluck it out.” This is a hard doctrine to practice in our relationships, but sometimes it’s unavoidable. More difficulty arises when the whole culture is angry with the admonitions of the Lord. There can be respite in the homes of Zion, in the holy temple, and in gathering with the saints on the sabbath day. for a more history part are written upon mine other plates. Nephi recorded, in 1 Nephi, several incidents where he was constrained to reprimand his brethren on their journey. He tells us the words and ideas they had, the words and ideas he used to correct them, their reactions, and how these incidents impacted the whole group’s progress. But in 2 Nephi all of these details are absent. This verse tells us that there continued to be incidents, both before Lehi died and afterwards, where Laman and Lemuel’s attitudes were in conflict with righteous living. All of those unpleasant events are part of what we’re missing by reading only the Small Plates. Nephi was a prophet who had glorious visions. He was also a man who struggled through physical and familial challenges of life. It’s quite likely that most of his time was spent in the challenging and difficult parts, and that they took up a significant portion of his original writings. When we write in our personal journals, we, too, often focus more on our difficulties than on events that showcase what we see of God’s goodness. God specifically intervened in Nephi’s writings, instructing him to “do it over again,” and focus on the spiritual aspects. We likewise have been encouraged to write gratitude journals, to write how we see the hand of the Lord in our lives, to write of the tender mercies of the Lord. All events in our lives are not equally worth remembering. Indeed, we cannot write every event or thought. The scriptures do not purport to write every incident in the life of prophets or the people they treat. What is written is carefully chosen to teach about God, and to encourage the reader to follow God. How much more worthwhile would our journals be if we emulated this pattern. How much more holy would our thoughts be if we spent time writing about God’s goodness in our lives, rather than petty annoyances. and my heart pondereth continually upon the things which I have seen and heard. A journal which details conflict is interesting historically. But as Nephi points out, a journal that records a person’s interactions with God exposes his very soul. It documents who he is, not what his surroundings are. This is one of the reasons the Book of Mormon speaks to us so well today. We don’t relate to the culture; we don’t even know which culture it was historically. But, following Nephi’s example, all the writers, while writing of physical events, showed us their souls as they reached up to God to help them through their mortal journey. The Book of Mormon is a shining jewel which can delight our own souls with the things of the Lord, and upon which we can ponder as it helps us understand our own lives, our own civilization, and our own opportunities. my heart exclaimeth: O wretched man that I am! Yea, my heart sorroweth because of my flesh; my soul grieveth because of mine iniquities. Nephi had seen the panoramic vision of the history of the world rolled out. Few if any of us have seen such a vision, so we may think we cannot relate to Nephi’s feelings in this verse. But He has spoken to each of us according to our capacities and our assignments during mortality, so we do recognize the great goodness of the Lord. We have seen His great and marvelous works, and we would probably see more if we took the time and attention to do so. Nephi has presented the dilemma and the solution: Knowing the goodness of God makes us recognize our own unworthiness. And yet it is only God who can fill that gap. Nephi knows who to trust for help in overcoming his iniquities and sins, as well as his mortal weaknesses. Even when his heart groans, he turns to God so that he can ultimately rejoice. This section of 2 Nephi is called “The Psalm of Nephi.” Whether or not it is a proper psalm, it has a poetic quality and lilt. But where much scripture and poetry are symbolic, in Nephi’s case he describes literal events in literal terms. Few readers of the Book of Mormon have had the literal experiences described by Nephi. But we must not assume that we cannot relate. We can take Nephi’s literal experiences with God and consider how He has helped and guided us through our own wildernesses of affliction, or lonely ocean crossings. As we faithfully keep the commandments – both the generic commandments that God gives for the blessing of all His children and the specific guidance He gives us in our individual lives – we can say that God hath been my support. Now this is an experience that many can relate to. God’s love is manifest throughout the earth, and in countless tiny mercies that people with eyes to see can perceive. But Nephi is speaking of more than this. As millions can testify, God, through His Spirit, gives the holy experience of actually knowing His love, or at least a portion of it. It is a transcendent, life-changing event. The person so blessed has a new perception of God, a new appreciation for his own life and responsibility, a new compassion for his fellow-mortals. He is never the same after that, and views the event with profound reverence. People’s reaction to this simple verse shows the great inequality among mankind. For those who have had this sacred experience of knowing first-hand the love of God, it calls up cherished memories, gratitude, and probably commitments. For others it is as a tinkling cymbal, heard at the moment, words only, forgotten the next. The inequality is not caused by God giving His love differentially. But God respects each person’s right to choose his own course, to make his own life. That’s the purpose of this life – to be self-directed. When a person is humble enough to seek, God will respond, pouring out His love which has always been there. Those who never seek will never know. Personally, I have never experienced this. Of course, I don’t think I’ve accumulated many enemies, and if I have any, they haven’t bothered to tell me about it. Nephi may be referring to ship-building incident, when the Lord shook his rebellious and lazy brothers. In other instances, however, the Lord saved Nephi from their wrath in different ways, and finally the only thing left to do was escape. Doubtless other people have experienced this short-term blessing from God. If it were long-term, the plan of agency would be frustrated. Born in Turkey, Amed was a proud Kurd who wanted recognition for his people, and he was an active member of a leftist political party. By his own account, he was rude and abrasive, and many people avoided him. But then a Christian neighbor started talking to him about Jesus. As the neighbor persisted, Amed read the Bible and eventually placed his faith in Jesus Christ. He was immediately changed, and his family responded just as suddenly. His wife left him, and his conservative Muslim family gave him one year to change his mind. “Even if I wanted to give up Christianity, I could not because I knew deep within my heart that there was no other way of being saved apart from the cross of Jesus,” he said. Over the next year, Amed grew in faith but remained an outcast to his family. Then, toward the end of the year, he was thrilled to receive an invitation to join them for the most important Muslim holiday, Eid al-Adha, the Feast of Sacrifice. Amed arrived at the family home full of hope for reconciliation. “I was praising the Lord for that opportunity and thinking we would have peace among us,” he said. “Do you know this will be the best feast celebration ever?” his mother said as she met him at the door. Realizing the invitation was a trap, Amed felt hot and began to tremble. “I was so nervous, I could just pray a one sentence prayer,” he said. Amed closed his eyes, believing he was about to be killed. But suddenly his tongue was loosed and he was no longer afraid. As Amed stood up, his brother-in-law cocked the gun. Then, Amed boldly turned to him and shook his finger in his face. “If my God does not put my life in your hands, you cannot even get one hair from my head,” he said. Amed went into hiding after his frightful experience, but finally gained the courage to share his faith and encourage fellow-believers.